Un articol despre casele proiectate de mine pe site-ul Romania-Insider. Autorul articolului este Corina CHIRILEASA. As she walks around the yet unfinished house, and explains in a low, calm voice how each room will be, and what will stand in every corner, you can sense that architect Liliana Chiaburu knows everything about this house. From the large stoop with wooden pillars, to the cellar, to the high roof, to the one-floor-only structure, everything in this house, whose walls are yet unfinished and which still lacks doors and windows, came from her imagination. 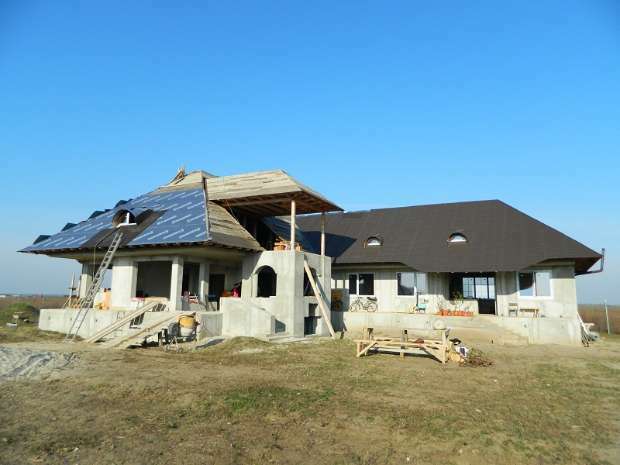 We’re in a village a few kilometres from Bucharest, where a young family chose to build this house. They hope to have it done by next autumn. It is already shaped as a household: there’s a beginning of a vegetable garden in one corner, and a yard with a few farm animals in another corner. This will not be any house, and certainly it will not resemble the many new houses that we’ve noticed on our way and that can be seen from this very yard. 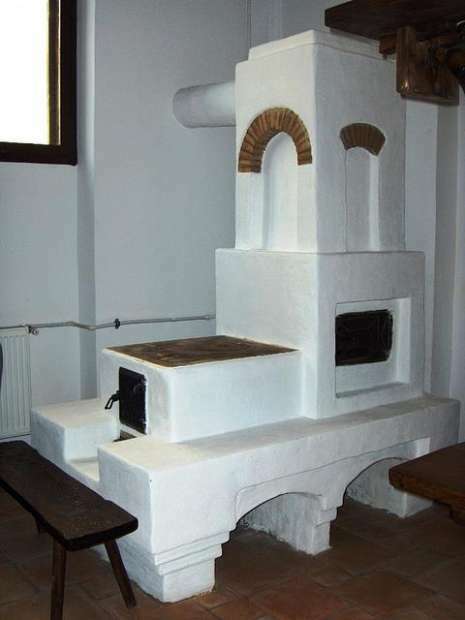 This is a traditionally-rooted house: it has a stoop, a large entry hallway, a cellar, a stove that connects two rooms, a traditional stove in the kitchen, large windows to see the garden, and a tall roof. 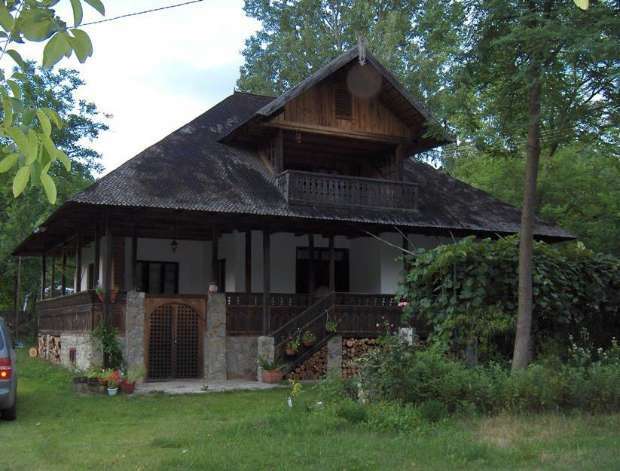 It’s unlike most of the new villas that are being built in Romania nowadays, and more like what our grandparents used to live in. It is traditional, yet very much contemporary. This is what Liliana Chiaburu loves to design. Many other things are traditional when it comes to her. Unlike most architects today, she does not use a computer when drawing a house for a client. Everything is drawn by hand, on paper, and she does not make a lot of drawings either. It’s not that she does not use the computer at all – in her late 40s, she is active onFacebook and runs her own blog. But she prefers to do it in the old fashioned way. Not everyone understands her style, but there are enough people who want her to design them a house. Since 2000, when she started designing such houses, many have tried to modify her projects, to make them fit into what is considered the norm today. “Nobody could understand why the hallways are larger in the houses I design. Everyone is used to the hallways in apartment blocks, where there is a problem of space and wanting to be isolated from the rest of the neighbours, but this is not an issue in a house, so why build a small hallway? Small hallways isolate you, and in the countryside, you do not want to be isolated from nature,” she says. While most houses and apartment blocks have a 3 sqm hallway, the houses she designs go between 10 and 15 sqm, which improves the quality of living. Then there’s the stoop, which surrounds parts of the house, which provides shade, and which is a much needed place for resting. It’s the element she starts with, and it’s also the element she adds if asked to turn an existing house into a more traditional one. The roof is another important element. In her houses, the roof is taller than in regular houses: the slope has a 41 degrees angle, compared to the regular 30 degrees angle. Often she has to be on the construction site even after delivering the design, to make sure the constructors do not alter her project in their attempt to simplify things. 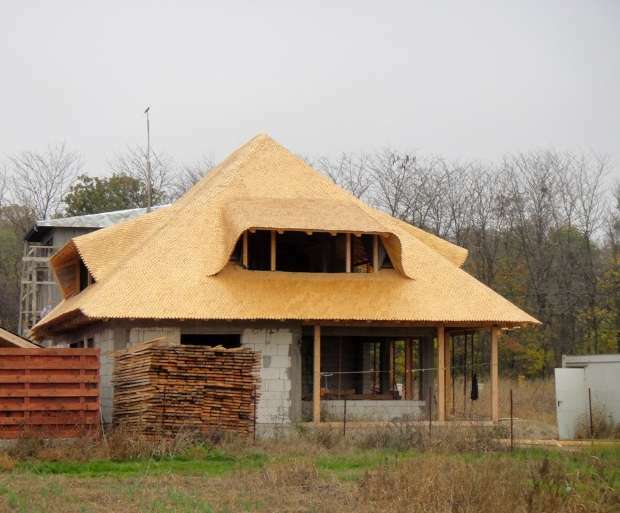 Construction materials are modern, but there’s a lot of wood in the four-side roof, and the roof cover will always be either made of sheet metal, or wood – in Romanian called sindrila, which is also the cheapest version. The roof gives weight to a house, it protects and soothes the family, Liliana explains. The stoop and the roof can make the house a little more expensive compared to a regular house design – the so called shelf-houses – but her clients find it well worth it. In the end, the construction cost will be of EUR 350-400 per built sqm. Before designing such as house, Liliana meets her clients, the majority are young families, who have experience abroad, where traditional architecture is of high value. She talks to them for about two or three hours, trying to find out how their life is, how they use different parts of the house, how they interact with each other, and how they want to feel at home, in order to design them their house. She does not have already-designed traditional houses, she does not believe in giving the client a stack of pre-made designs to choose from. But she believes in each house for its owner, and she usually shows clients the houses she has already designed for other people, so that they can get a feeling of how theirs could end up. 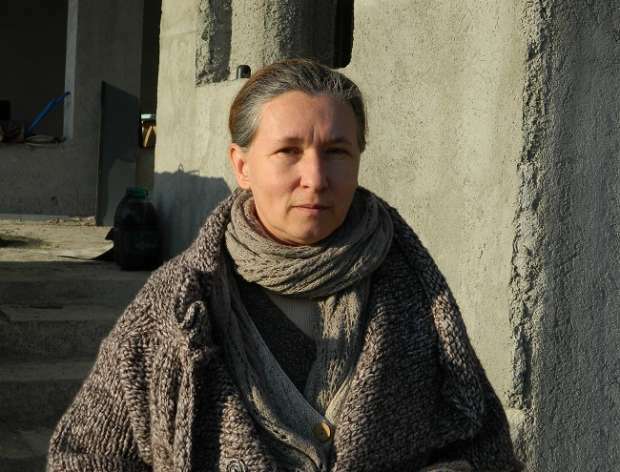 She is one of the very few Romanian architects who include traditional elements, as many architects want to show off the Western ways. This goes hand in hand to what the majority of clients want – houses that resemble those in other countries. “We Romanians have the Occident complex,” the architect explains. This is why we see very few new houses looking close to what our parents and grandparents grew up in. Traditional architecture is not even taught in the architecture school as something that could be included in a real house one day, it’s merely mentioned as something from the past, something that belongs in a museum, Liliana explains. 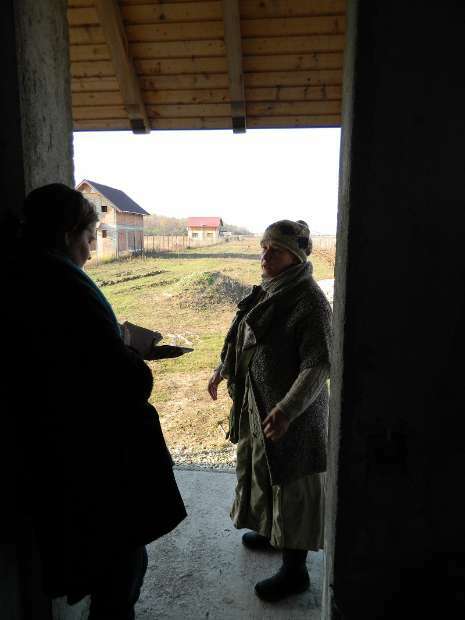 She noticed interest for such houses going up in the last six years, as many young Romanians feel the need to go back to their roots, without giving up on modern life. She had already started designing traditional houses. Her first client was also a friend, a priest who used to be a work colleague at a certain point, whom we also meet as he drove her to the construction site to meet us. She designed a house for him and his family as she really wanted the family to feel well and protected in their new home. She then took that feeling and applied it to the rest of her projects. As we drive back on the unpaved street, leaving Liliana Chiaburu and the young family behind to work over details, the priest friend who drove her there waves his hand to wish us good-bye, as if we were old friends. We had left a place where good souls and kindness were at home.